Regina Olbinsky, MBA, is an Atticus Certified Practice Advisor, an award-winning consultant, coach, and entrepreneur, who is uniquely qualified to work with law firms on leadership, team, organizational, and strategy development. In addition, Regina has had a successful career in corporate management, human resource consulting, and entrepreneurship, providing Executive Coaching, Leadership Development, Training, Talent Consulting, and Career Coaching to senior leaders and organizations of various sizes and industries. 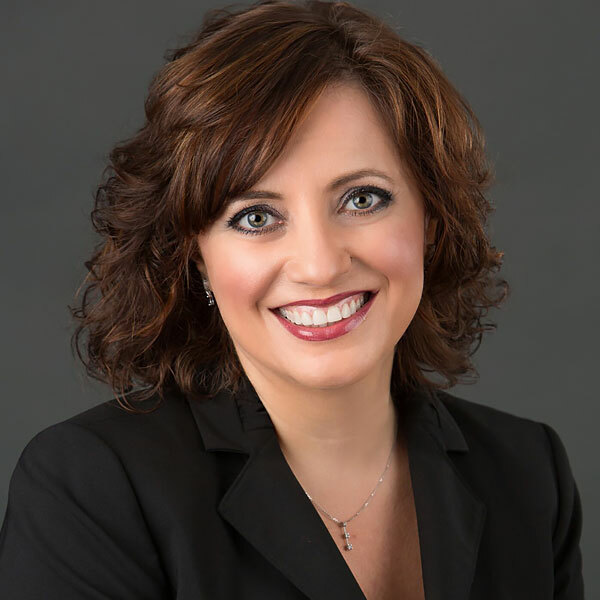 Through insight and expertise, Regina brings a unique passion to each of her clients, using a strategic, business-focused, and goal-oriented approach that helps attorneys put their practice, and their priorities, into clearer focus, allowing them to succeed in today’s challenging times. MBA from the Weatherhead School of Management at Case Western Reserve University. BS with Honors in Psychology, Human Resource Management, and Russian from The Ohio State University. Certificate / Diploma (Cohort 8) from the Goldman Sachs 10,000 Small Business Program, prestigious and intensive small business incubator for entrepreneurs. Certification in Emotional Intelligence (EI) Executive Coaching from Weatherhead. Certification as a Registered Corporate Coach (RCC). Professional in Human Resources (PHR and SHRM-CP). Certification as a Law Firm Practice Advisor from Atticus, Inc.
Society for Human Resource Management Cleveland Chapter – longtime member and past President. Regina received the Outstanding Member of the Year in 2003 for her many contributions to the Chapter and the human resource profession. She also founded and chaired CSHRM’s innovative, cross-company mentoring program (still going strong today), which was recognized with a SHRM National Pinnacle Award in 2005, and formed and chaired the Chapter’s Advisory Board of Senior Human Resource Leaders. Named to the prestigious list of 20 Leaders on the Rise by the Cleveland Jewish News. Member of the ASTD, International Coach Federation (ICF and Cleveland), HR Leadership Group, and John Carroll University’s Entrepreneur Association. Frequent contributor and source to The Plain Dealer, Crain’s Cleveland Business,CBC Magazine, Cleveland SHRM’s HR Cleveland magazine, the Cleveland Jewish News, and various news outlets. Regina and her family, including Cosmo, the cutest Havanese in the world, live in Cleveland, Ohio, where they root for every Cleveland sports team, particularly the Cavaliers and Indians, and of course, her beloved The Ohio State University Buckeyes!